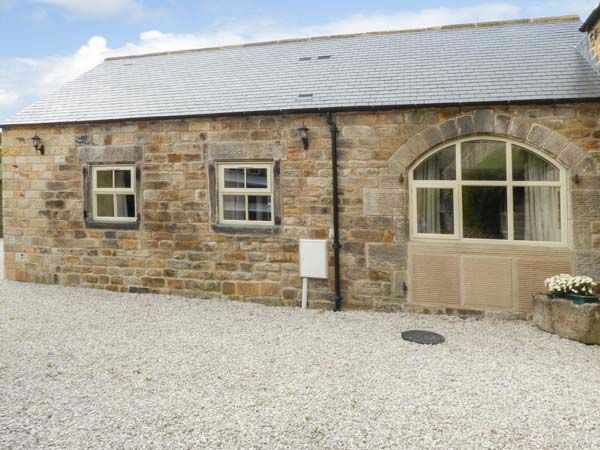 This cottage is a beautiful stone cottage on the edge of the lovely village of Ashover in the Peak District and can sleep four people in two bedrooms. The Old Blacksmiths is a beautiful stone cottage on the edge of the lovely village of Ashover in the Peak District and can sleep four people. There is a king-size double bedroom with an en-suite shower room, a twin bedroom with an en-suite shower room, an open plan living area with a kitchen, a dining area and a sitting area and there is also a utility room. Outside, there is off road parking for two cars and a side patio with furniture. The Old Blacksmiths is a wonderful holiday base. Amenities: Ground source heat pump central heating. Electric oven and hob, microwave, fridge, freezer, washing machine, dishwasher, TV with Freeview, WiFi, selection of books. Fuel and power inc. in rent. Bed linen and towels inc. in rent. Storage for cycles. Off road parking for 2 cars. Side patio with furniture. One well-behaved dog welcome. Sorry, no smoking. Shop and pub 1 mile. Note: There is an electric fence adjoining the access to the dog walking area, ensure children and dogs are supervised and care is taken. Note: Due to sloping ceilings there may be limited headroom, please ensure care is taken. Town: The small, rural village of Ashover is peacefully situated in the Amber Valley, just five miles from Matlock. The village affords a 9-hole golf course and several good pubs, including the Crispin Inn, renowned as one of the oldest pubs in the Peak District. The county town of Matlock, famous for its warm springs, offers a host of fine eating places, good shops and an interesting museum. Two bedrooms with en-suite shower, basin and WC: 1 x king-size double, 1 x twin. Open plan living area with kitchen, dining area and sitting area. Utility. Ground source heat pump central heating. Electric oven and hob, microwave, fridge, freezer, washing machine, dishwasher, TV with Freeview, WiFi, selection of books. Fuel and power inc. in rent. Bed linen and towels inc. in rent. Storage for cycles. Off road parking for 2 cars. Side patio with furniture. One well-behaved dog welcome. Sorry, no smoking. Shop and pub 1 mile. Note: There is an electric fence adjoining the access to the dog walking area, ensure children and dogs are supervised and care is taken. Note: Due to sloping ceilings there may be limited headroom, please ensure care is taken.